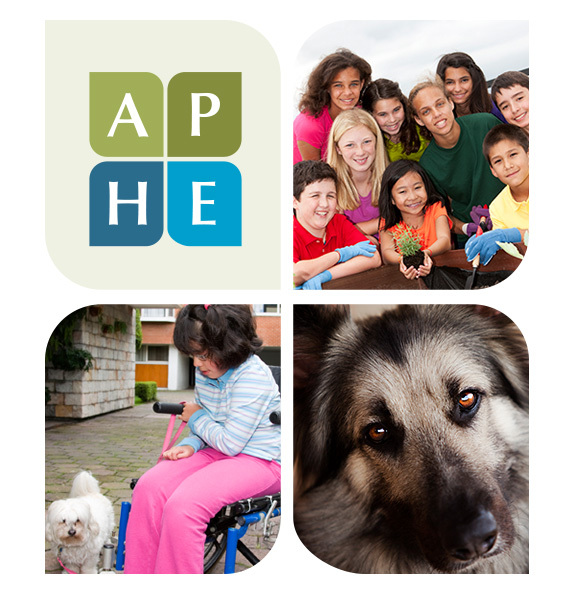 APHE is a membership organization that provides networking opportunities and resources to those involved with or interested in humane education. national conferences, discounts on materials, a member-only listserv, and the Humane Education Quarterly newsletter are just a few of the helpful resources that we offer. We hope that you’ll spend some time visiting our site to learn more about becoming a member and how it can benefit your career. If you’d like to learn more, feel free to contact us at aphe@aphe.org. Thanks for all that you do to support Empathy through Education. Empowering those who promote empathy through education. APHE promotes humane education, advances standards of excellence in humane education practices, and provides professional development, resources, and networking for those who foster empathy toward people, animals and the environment. A compassionate world for future generations.